•	Underwires, boning and padding add shape and fullness to your chest, says stylist Julie Weiss, who has worked with Julia Louis-Dreyfus and Gabrielle Union. •	Jeanne Yang, who has styled Katie Holmes and Brooke Shields, says a top with a funky pattern, polka dots or embellishments will distract from a petite chest. Swimsuits at left: Nylon-Lycra bikini, Cia Maritima, $100; at Sirenson Third, 303-322-7500. Nylon-Lycra polka-dot one-piece, Leilani, $80; at Macy’s. •	An underwire or built-in bra gives structure and support, says Weiss. Straps also help prevent sag. •	Keyhole or string-bikini triangle tops and demi bras aren’t ideal for big busts, says Yang, since they don’t provide enough coverage or support. Swimsuits at left: Polyamide-elastane printed one-piece, Fantasie, $110; figleaves.com. Nylon-spandex bikini, top ($110) and bottom ($79), Shoshanna: at Saks Fifth Avenue. •	An Empire waist and detailing at the chest balance big hips by drawing the eye up. 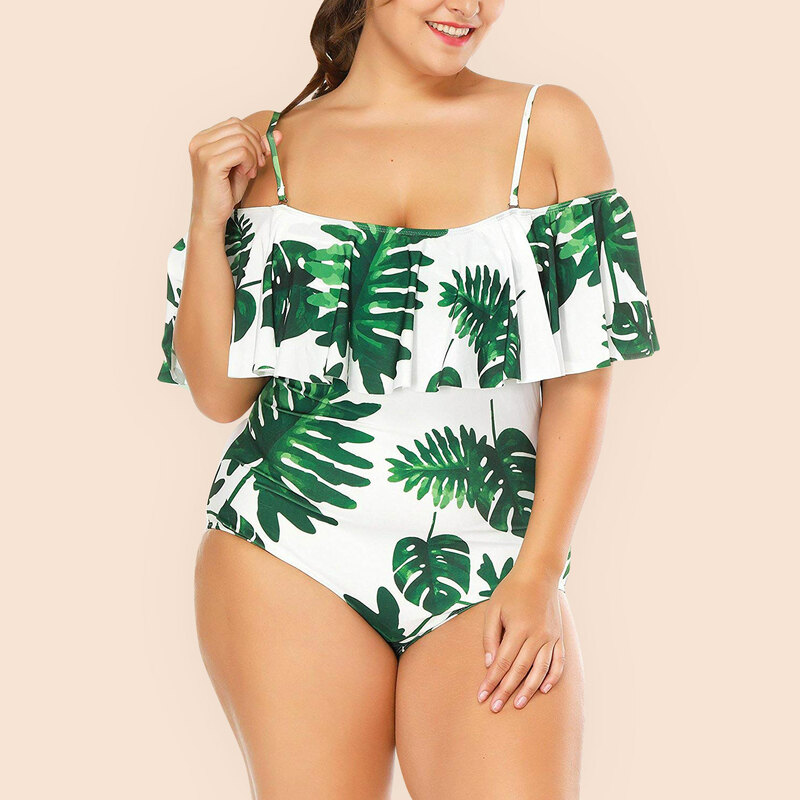 •	Opt for a built-in tummy control panel or a suit that has significantly more spandex; the Miraclesuit, for instance, has up to three times more than the usual swimsuit. Swimsuits at left: Royal blue nylon-spandex one-piece, Miraclesuit, $132; cyberswim.com. White halter nylon-spandex one-piece, Letarte by Lisa Cabrinha, $160; at Eye of the Needle, 561-833-4533. •	A plunging halter top draws the eye up and away from any pooch below. •	Details or a bold pattern on the midsection can also be positively distracting-a busy print keeps the eye moving so it doesn’t settle on a less-than-flat tummy. Swimsuits at left: Strapless nylon-spandex one-piece with beading, Liz Claiborne, $81; lizclaiborne.com. Floral-printed halter tactel microfiber one-piece, Jets by Jessika Allen, $220; exquisiteswimwear.com. •	Tankinis and bandeau tops shorten the length of the body. 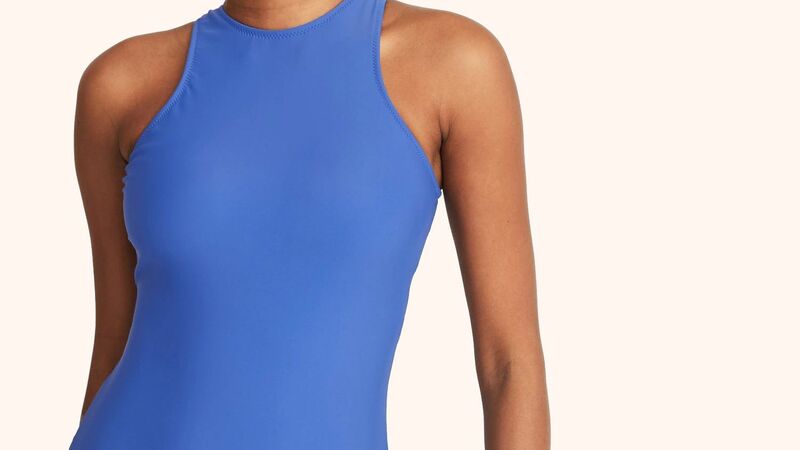 •	A one-piece needs an Empire waist or detailing below the bust to reduce the expanse of fabric covering an elongated torso. 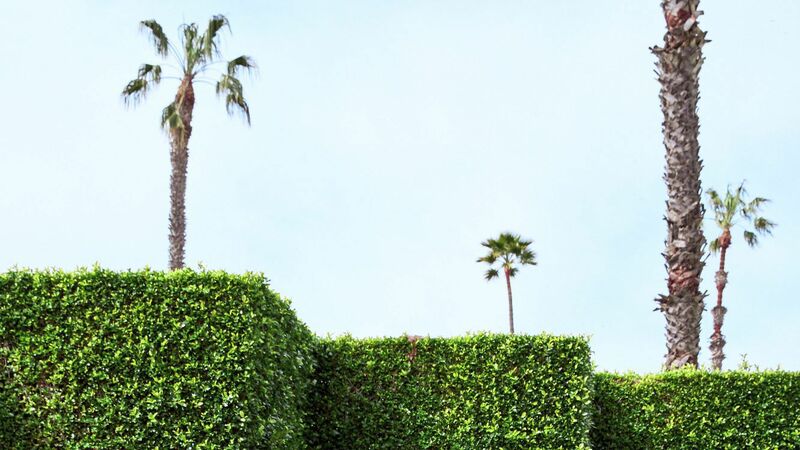 •	Avoid high-neck tops, which can call attention to the body’s length. Swimsuits at left: Tropical halter nylon-lycra one-piece, Tommy Bahama, $114; 800-647-8688 or tommybahama.com for stores. Red nylon-lycra bandini ($105) and bottom ($85), St. John Swimwear; sjk.com for stores. •	A high cut in the leg (but nothing higher than the hip bone) helps heavy thighs look slimmer. •	Leave boy shorts at the store-they make the derriere and thighs look bigger. •	Emphasize your top with color blocks, light colors or embellishment at the chest-they’ll draw the eye away from a heavier bottom. Swimsuits at left: Striped strapless nylon-spandex one-piece, Banana Republic, $88; bananarepublic.com. Polyamide-elastane one-piece halter, Vix Swimwear, $132; vixswimwear.com.